With each new version of Android, we all look forward to some big feature updates. And just like every year, Google has recently released the newest version of Android – Android O (my bet is on Oreo if you ask). That said, whom are we kidding. As of May 2, 2017, only 7% of all Android phones in the market run Android N. And if the trend continues like that, most of us are not going to taste Android O for another 1-2 years. But guess what, we have you covered. If you are dying to get some taste of Android O, then here are some apps that will work for you. Note: Your phone should be running Android Lollipop or higher to get all the features. And while some features might require root access. Related: What’s new in Android N? With every Android release, Google delivers a new set of default wallpapers. And this time with Android O, it’s a satellite-based image of a mountain range from space. 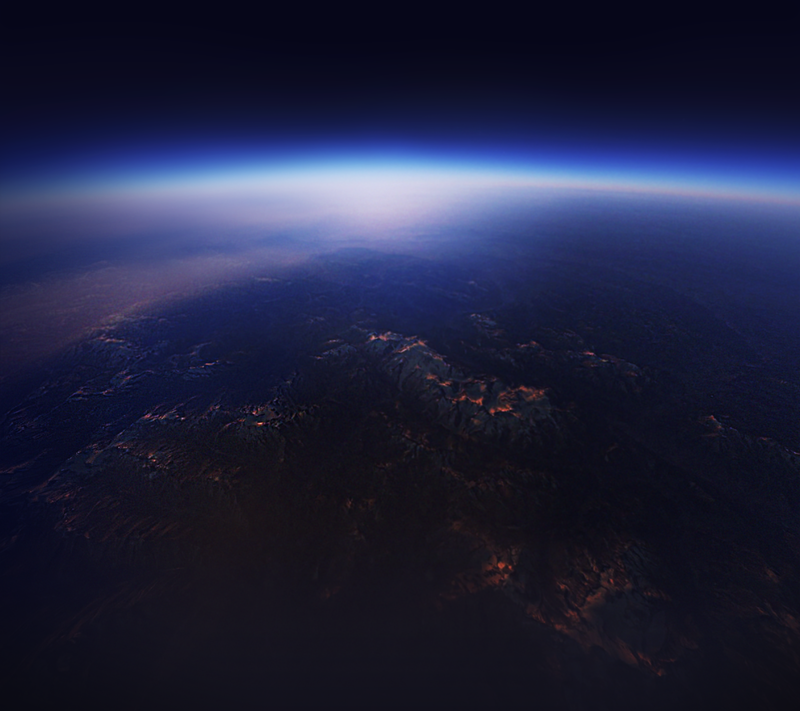 The wallpaper is embedded below, but just in case if it gets compressed, here’s an Imgur download. 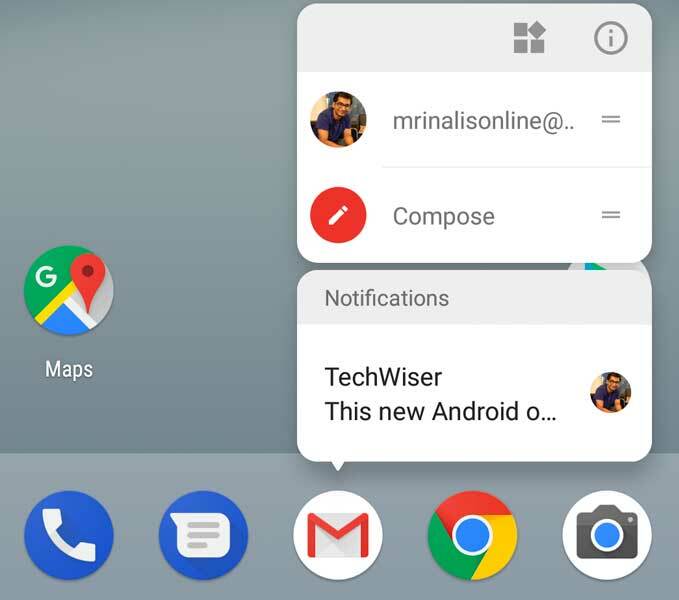 Though you can always side-load Pixel Launcher, you will get a gimped version of it, which won’t have features like Google Now Panel and G Pill Search. A much better alternative is, Lawnchair, it’s developed by deletescape, and has all Pixel Launcher features to it and works on all unrooted phones. Other than that, it also packs some extra features like icon pack support, adaptive theming, app hiding and many other UI tweaks. It’s free and provides the look and feel of Pixel Launcher. But if you are running Android KitKat or below then you have to install Nova Launcher Beta and an icon pack Pixel Icon Pack. Now, go to Nova Settings then select Look & Feel and then click on Icon theme and select Pixel Icon Pack. Following customizations will definitely give your phone an Android O styled makeover. 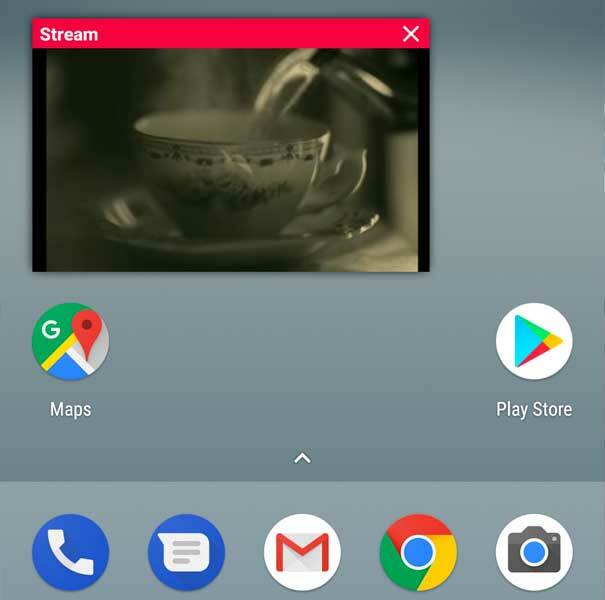 If you have Root access, then you can use substratum theme engine to change the look of the device just like the latest developer preview Android O. 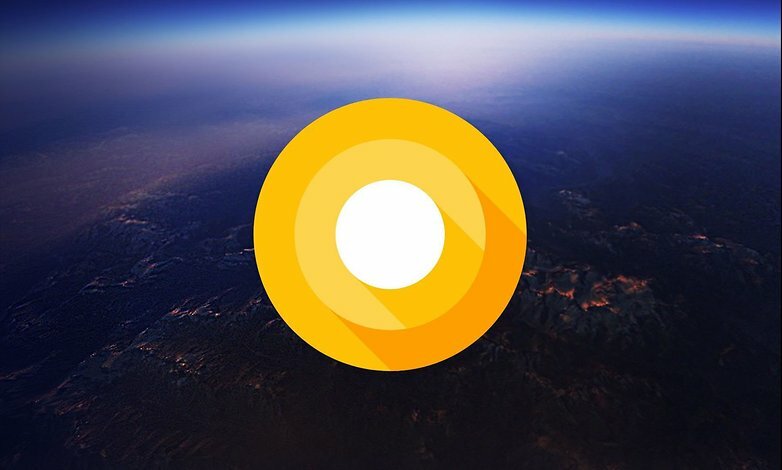 To get started, first install the substratum theme engine, and then open the app, go to themes section and search for Android O theme. It’s a paid theme, that cost $1. 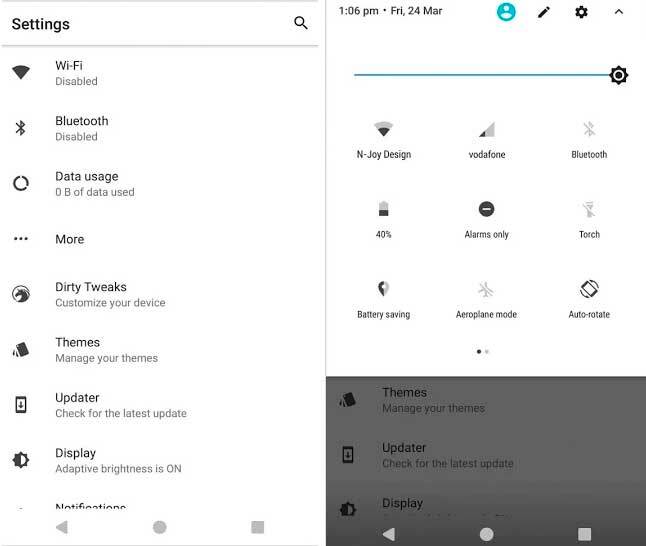 With this substratum theme, you can change the color and layout of your – quick settings, settings, contacts, keyboard, and some other Google apps. You can swipe down the fingerprint sensor to pull down the notification panel. This feature came with Pixel and then was passed to Nexus. Now, with Android O, they are going mainstream with this. Rooted or Unrooted smartphone, both will work. Head over to Google Play Store and install Fingerprint Gestures, now open the app and give it all permissions it asks for then configure it. There are more features like scroll up or scroll down or putting the phone to sleep but they require root. So, if you have a rooted phone then start tinkering around. Another cool feature of Android O is Notification Dots. It’s a small, circular blobs that only appear on the app icon when you have an unread notification. Kind of like what we have for ages in iOS. But it goes one step ahead, if you long-tap on the app icon, you’ll get a quick preview in the form of speech-like bubbles. So, here is how to achieve this on any phone using Nova Launcher. Phone running Android 5.0 or above. First of all, you have to install Nova Launcher Prime from the Play Store. It’s a paid app and costs $4.99. Then you have to enroll as its Beta Tester. You can do that by going back to the Play Store link and click on “Become A Tester” as the only beta update has that feature. Now, after doing all of that, go to Nova Settings on your phone then click on Notification Badges and then choose Dots. You can even customize the size and position of dots. So, select large as size and top right as position. Now, you can get Notification Badges without using Nova Launcher Prime. You can get them using the Lawnchair, a Pixel Launcher port by developer deletescape. It’s free and works like charm. But anyways, if you want circular emoji then you can follow this tutorial by linuxct on XDA Developers from this link. Basically, you’ll have to download a zip file and flash it from your custom recovery. Prerequisites of this tutorial are having a rooted phone with custom recovery installed and the Android version should be 5.0 or above. One of the biggest features of Android O is that it lets you customize your Navigation bar. In simple words, you can add extra software buttons on the left and right of the traditional on-screen navigation buttons like a – clipboard, keyboard switcher, volume adjustment etc. And guess what, you can get the same feature on any device running Android N and that too without root access. If your phone is not on Android Nougat, then you can use Pixel Navigation Bar app. It requires Android version 4.2 and above. This is a special type of Multi-tasking, you can view any video while doing any task. The video will be played in a popup format. It will work with YouTube and some other apps. We can’t have the exact feature but we can have something close to it. For this, you need to download Video Popup Player Floating app from the Play Store. This app will play any video from your internal or external memory in a popup and you can view them by doing some other task too. Free music for YouTube: Stream app. By default, this app is set to show only the music videos and to set it to show all videos of all genres, we have to make one change in its settings. So, go to its settings and untick “Music only filter” and Voila! Now, you can play any video from YouTube in a popup as well as in full-screen format. While we Android Enthusiast love to get our hands on new Android updates, the sad truth is – most of us won’t get Android O by the end of this year or even next year. That said, this guide will at least help you see the glimpse of what’s coming next, if not the whole picture. I particularly like the Notification Dots feature of Android O and how easy it’s to get it on any Android device using Nova launcher. Let me know what is your favorite feature in the comments.